ANCHORAGE, Alaska – Gov. Sarah Palin has high hopes for a multibillion dollar natural gas pipeline. One of her other legacies could be shaping the systems that let most Alaskans flip on a light switch. Palin by the end of the month will propose a bill taking the first steps toward forming a state corporation to oversee power generation in the Railbelt, home to 65 percent of Alaska’s population. Projected population growth along Alaska's Southern Railbelt. The Railbelt is named for areas touched by tracks of the Alaska Railroad: Anchorage, Fairbanks, the Mat-Su and the Kenai Peninsula. Six independent utilities now power the region. An $800,000 state study overseen by the Alaska Energy Authority suggests it’s time for a more efficient management model. The best hope for future affordable rates, according to the study, is a centralized authority with the financial muscle to build efficient power plants, coordinate power generation between all facilities and send electricity over a reliable power grid. A transition would be complex. The six utilities – Golden Valley Electric Association in Fairbanks, Matanuska Electric Association, Chugach Electric Association, Anchorage Municipal Light & Power, the City of Seward and Homer Electric Association – operate under a variety of state and federal rules. They have long-term obligations for purchasing fuel and paying off debt. They operate with their own elected or appointed boards and their first allegiance is to their own customers. Gov. Sarah Palin, back from the campaign trail, faces a changed landscape in Alaska. 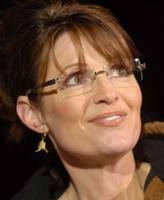 It appears that Alaska Governor Sarah Palin will probably be back on the national scene in two years campaigning as the Republican candidate in the 2012 presidential election. We here at the Sarah Palin Truth Squad have decided to continue posting information about Governor Palin in anticipation of that race. Today the Anchorage Daily News published the following article by Tom Kizzia on the political future of Gov. Palin. For two months she basked — and sizzled — in the world’s hottest celebrity spotlight. Now Sarah Palin has come home to begin the last two years of her term as governor of Alaska. Everything has changed: Palin’s personal horizon, her relations with the state’s other elected officials, the public’s sense of who she is. Palin returned to her office Friday amid a brutal crossfire between detractors and defenders in the McCain camp. At the same time, however, a new national poll said 64 percent of Republicans consider her their top choice to run for president in 2012.